Gov. J.B. Pritzker has yet to figure out how much the raises he announced Tuesday will cost taxpayers, though estimates from his predecessor show step increases for about 14,000 state employees could add $200 million to the state's existing budget, which was $1.2 billion in the red last spring. Pritzker didn't answer questions about the cost of the raises Tuesday despite a pledge to provide more transparency. A spokesperson for the governor's office told WTTW that the cost of the raises was still being calculated. "With multiple unions representing workers across many agencies, it will take several weeks to provide an accurate picture of both cost and timing of the restoration," Pritzker spokeswoman Jordan Abudayyeh told WTTW. "However, the governor firmly believes that workers who have served the state without step increases should be brought to their current step level as expeditiously as possible." The raises Pritzker announced Tuesday were in contrast to former Gov. Bruce Rauner, who spent most of his term battling the American Federation of State County and Municipal Employees Council 31 in court over an ongoing contract dispute that included step increases in pay for thousands of state workers. The increases varied and were solely based on years spent on the job, not quality of performance. Rauner said he froze the automatic pay raises because no money was allocated to pay for them. 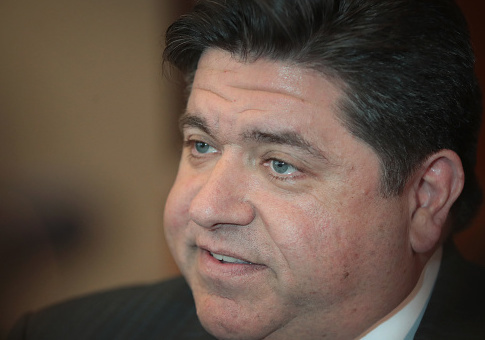 Pritzker made reinstating the raises one of his first priorities. "This is simply a first step of things we need to do and what I had said I would do; put Illinois back on the side of working families," Pritzker said. Rauner’s office had estimated the raises would cost more than $170 million in the current fiscal year, according to documents obtained by the Illinois News Network last fall. Another document from November had a cost estimate of $200 million. Rauner's office calculated this by multiplying the average percentage of the step increase by the annual salary for the eligible workers, adding in additional payroll taxes and pension contributions, and multiplying that by the number of workers who would receive the raises. Should nonretroactive pay increases begin this month, an analysis offered up by financial site Wirepoints estimated the cost would be closer to $100 million because Illinois’ fiscal calendar resets in June. "We’re just digging deeper into the hole more and more rapidly," Wirepoints CEO Mark Glennon said. "The actual deficits, including run-up in debt and pensions, has averaged about $10 billion. That’s an astronomical number considering the budget is only $38 billion." Lawmakers had previously said that there would likely be a need for a supplemental spending appropriation in the current budget to pay for the raises. Pritzker’s office didn't respond to questions about the raises Wednesday. If Pritzker decided to pay what AFSCME says the workers are owed from years past as well, the cost is estimated to rise to half a billion dollars, according to Rauner’s staff estimates. "Gov. Pritzker’s announcement represents important progress toward ending Bruce Rauner’s illegal four-year freeze on step progression for state employees," AFSCME Executive Director Roberta Lynch said in a statement. "It’s critical that the state also move quickly to make employees whole for the wages they have been wrongfully denied since 2015."